Coping with a disability can be challenging at first, but as you find your own place in life and learn to appreciate what you have and accept the support and goodwill of others, it can be easy to build up your self-esteem and confidence in life to achieve anything that you want to. However, one hurdle in life that some disabled people have trouble getting over is romance. Going on a date and opening up to your match can be challenging. You might be worried about how others see you, you might be scared about your prospects of finding romance and you could even feel discouraged after your first few dates. However, it’s important to never give up and treat romance just like every other challenge that you’ve overcome in the past, and in this article, we’re going to give you some encouraging tips to help you build up your confidence to get out there and go on fun and exciting dates. The most important thing to remember is that regular dating tips will still apply to you. Things like making sure that you get to know the person before you meet them in real life and taking the relationship slowly will make a huge impact on the success of your relationship. Whether it’s in your public profile or when you get intimate with your date, make sure you open up about your disabilities and how it can affect future relationships. Don’t hide your disabilities and don’t try to make yourself out to be someone you’re not. There’s really no easy way to tell your date, but make sure you spill the beans before you meet up. It’s important to remember that you shouldn’t let people get to you when they judge you for your disability. If you’re getting along with someone and you tell them about your disability and they suddenly start ignoring your messages, then it’s safe to say that person was not worth your time and you just saved yourself potentially weeks of back and forth dates with an unpleasant person. 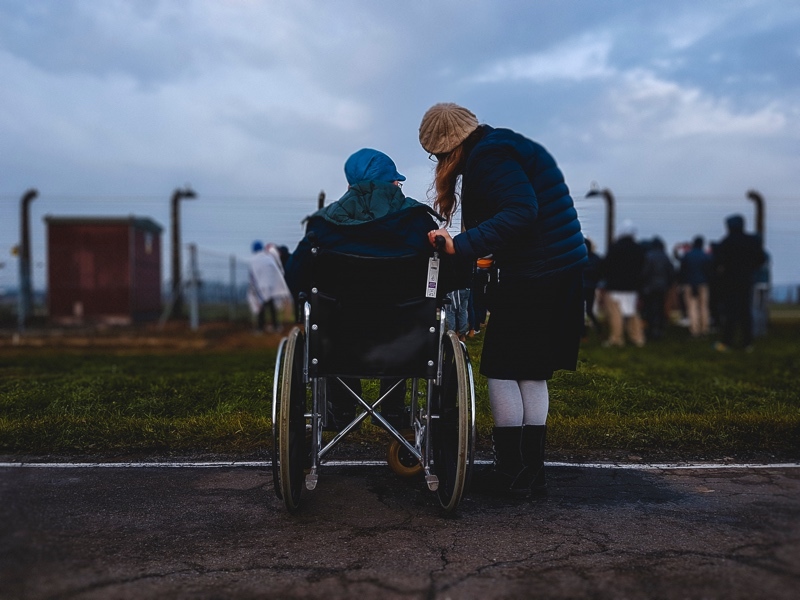 If your date hasn’t been around many disabled people in their life then it can be difficult for them to adjust and know what to do in certain situations. Many disabled people prefer to have their independence but some find it sweet and endearing when their date offers to help with more than they need to. It’s absolutely fine to accept help, but you should also politely decline if you want to set boundaries and inform your date when you don’t necessarily need help. We’re also going to include a couple of tips to help you out if you’re dating a disabled person. Don’t get weird and treat your date like normal. Chat them up, flirt with them, joke with them and relax. Don’t point out their disability all the time. Don’t try to be sympathetic with words like “I’m sorry” or “It must be difficult” and try not to talk about the disability unless your date is willing to open up about it as a talking point. Realise that it’s difficult for a disabled person to do the things you take for granted. They have to cope with many more challenges in life and something as simple as getting on a train can be five times as difficult, so realize the unavoidable reality of what you’re getting yourself into if you want to become romantically involved. This might sound harsh to hear, but there are many people in the world that would date disabled people to seem progressive or to make a point to their friends. Dating a disabled person doesn’t make you better, so don’t expect a pat on the back for every little thing you help your date with. Give your disabled date some space. Don’t try to overwhelm them with help. They’ve been dealing with a disabled life longer than you, so trust that they know what’s good for them. Here are 8 Top Tips to Avoid Catfishing.